Research in neuro-economics, the science that seeks to explain human decision-making, has shown that money-making experiences are processed by the brain in the same way as chemically-induced highs, while financial losses are handled as if mortal dangers. So what can bettors do to increase their chance of profitable survival while walking a tightrope between euphoria and disaster? The key to long-term profitability in sports betting is the combination of a betting strategy with positive expected value and consistent execution. Sounds straightforward, but often we think ourselves into trouble. Cognitive biases: A curse or a blessing? In 1972 Amos Tversky and Daniel Kahneman made the world aware of a Nobel-prize worthy discovery; the notion of cognitive biases, systemic patterns of deviation from rationality in judgement. The study in this field, judgement and decision making, is obviously applicable to betting and a lot can be gained from doing research into how the mind works. Psychologists have documented a plethora of misconceptions we can create. We overestimate heights when looking down, for example, which makes us particularly cautious about falling. Unfortunately, these mental shortcuts, also known as heuristics, are anything but life saving when objectivity is essential – such as in betting. 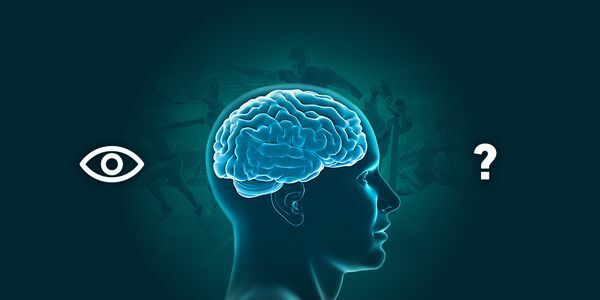 From mental noise and social influence to emotional motivation and information-processing fallacies, decision making in sports betting is invariably affected by cognitive biases. They are simple for the brain to compute, but tend to introduce severe and systematic errors. if we are to trust renowned German scientist Georg Christoph Lichtenber in saying “Once we know our weaknesses, they cease to do us any harm”, there is a glimpse of hope on the horizon. Once such cognitive bias is the hindsight bias, also known as the knew-it-all-along or creeping determinism after an event has occurred. Professor of psychology Thomas Gilovich was the first to investigate the hindsight bias in gambling situations. In an experiment that attempted to establish why American sports bettors stick to losing betting strategies, he observed how bettor’s interpretations of their own successes and failures influence their subsequent betting behaviour. In the first experiment, he found that after soccer matches that had been decided by luck, such as a bad call from the referee that had a major impact on the outcome, neither the winners nor the losers would have changed their bets. Losers justified their losses by seizing upon the randomness, whereas winners discounted them as irrelevant, as for them what counted was the result. Gilovich, therefore, concluded that bettors tend to take success at face value, but carefully scrutinise failure. In the second experiment, he tried to determine the extent to which past luck can influence future betting behavior, by reminding the participants of a critical instance of luck in a recent match on which they had bet. What he found was that this tended to restore the faith of the losing participants in their teams without decreasing the faith of the winning participants in theirs. To sum it up, the tendency to accept success at face value and translate losses into “near wins” can result in over-confidence in one’s own betting skills and decreased chances of future success. Bettors, just like so many people in other circumstances, are not willing to admit that they can be wrong. Can we overcome the hindsight bias? The short answer according to Jeff Ma, a member of the MIT Blackjack Team who made a fortune beating casinos worldwide in the 90’s, is perhaps not. As human beings, we are subject to cognitive biases. However, if we are to trust renowned German scientist Georg Christoph Lichtenber in saying “Once we know our weaknesses, they cease to do us any harm”, there is a glimpse of hope on the horizon. Next time you catch yourself contemplating a “near win”, it may just be because you have your hindsight goggles on. Instead of cursing your luck, pause and ask yourself; What is more important? To be right or to be profitable? You might be amazed by the results.